For the Raramuri of Mogotavo, a community struggling for recognition of their traditional territory and working to diversify their means of subsistence while preserving their cultural traditions, the agricultural and ceremonial cycles are essential to their survival. The Yumari Project combines a grade school cultural, educational program with special events, community workshops, parental meetings, teacher orientation, and planning and celebrating the ancient Yumari ritual in concordance with the ceremonial cycles tied to the production of corn, their main crop. Restoration of the Yumari ceremony is one of the most important objectives, not just the chant and dance, but the inner meaning, which can only be realized with experience. Yumari is a process of merging with the Spirits, Union with Nature, through chants, rhythm and movement. It is a prayer for rain, blessings for health, and maintenance of the union between man, Nature and Onoruame, the Great Grandfather God. 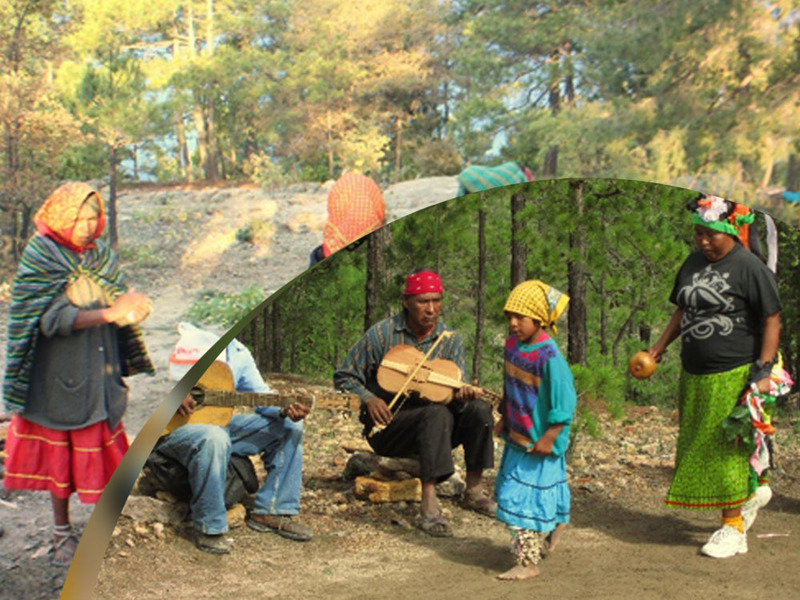 The project funds the inspirational work of Makawi, a highly recognized voice of the Raramuri. “A few weeks after the first workshops and ceremonies with Makawi in 2015 (supported by Sacred Fire), Makawi and I hiked out of the canyon to the schoolyard. The children were trying to dance to a nineteenth century Mexican waltz played by the teachers. They were stiff and most just stood around, bored. Makawi pulled out one of his CD’s, recorded in their language. Every child stood up and started dancing traditional freestyle Pascola. They were loose. They were free. The energy was tangibly vibrant. The Spirit was alive. We knew than that they had to transform education – the entire community, parents and elders, and drive out the bureaucrats. They need to find a way to assure that each child spends enough time in nature to learn the ways, and realizes the spiritual connections that only Nature and ceremony like Yumari can bring. ” Randall Gingrich, Director, Tierra Nativa.